Tanghalang Pilipino presents Llyod Suh's American Hwangap as its second offering for the 24th Season (2010-2011). The play will be shown at Tanghalang Aurelio Tolentino (Little Theater) of the Cultural Center of the Philippines on September 10-12, 17-19, 24-26 and October 1-3, 2010. American Hwangap will have 2 versions in English and Filipino. Mary will be played by Gina Pareño (Filipino) and Celeste Legaspi (English), Min Suk by Mario O'Hara (Filipino) and Bembol Roco (English). The other 3 characters will be performing in all shows of Filipino & English: Liesl Batucan as Esther, Jeremy Domingo as David and Nicco Manalo as Ralph. The play was translated into Filipino by Joi Barrios. Chris Millado directs the production. Min Suk Chun, is turning 60, and he's back in West Texas after leaving his family almost 15 years ago. As his ex-wife and three adult children wrestle with their broken past in preparing this American Hwangap (a 60th birthday ritual celebrating the completion of the Eastern zodiac), an aging Korean would-be cowboy is back at the head of the table and is forced to take stock of his choices, his dreams, and what he left behind. But before the end of the night, he'll probably end up sitting in a tree without his pants on. American Hwangap received its world premiere in March 2009 at Magic Theatre, San Francisco, California having Loretta Greco as its Artistic Director. The play received its New York premiere in May 2009 by Ma-Yi Theater Company, Ralph Pena as its Artistic Director; and Kate Loewald, Artistic Director for The Play Company. The play was produced as part of the Lark Play Development Center’s “Launching New Plays into the Repertoire Initiative” supported by The Andrew W. Mellon Foundation. Partner organizations include The Play Company, Ma-Yi Theater Company, The Magic Theatre, Denver Center Theatre Company and others. American Hwangap was originally presented by New York Stage & Film Company and The Powerhouse Theater at Vassar from July 27-29, 2007. The play was developed at the Ojai Playwrights Conference having Robert Eganm as its Artistic Director. 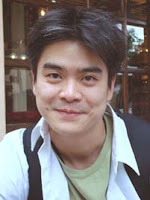 Lloyd Suh is the author of American Hwangap, The Children of Vonderly, Masha No, The Garden Variety, Great Wall Story, Happy End of the World, among others. His plays have been presented across the US at additional theaters and festivals including the Lark Play Development Center, Ojai Playwrights Conference, New York Stage & Film, McCarter Theatre Center's IN-Festival, Stamford Center for the Arts, and others. He has been the recipient of grants and commissions from the NEA/Arena Stage New Play Development Project, the Jerome Foundation, South Coast Repertory, Theatre Communications Group, the New York Foundation of the Arts, and the New York State Council on the Arts, and was honored by the National Asian American Theater Company and Pan Asian Rep with the Lilah Kan Red Socks Award in recognition of an artist's commitment to community service. He currently serves as Artistic Director for Second Generation and Co-Director of the Ma-Yi Writers Lab, the largest resident company of Asian American playwrights ever assembled.